We kick-started 2019 with our annual team off-site. This year’s theme was ‘Increasing Efficiency and Productivity’, so it was fitting that the event was held at Jaguar Land Rover, a pioneer of lean manufacturing methods. Getting together as a company gives us the opportunity to discuss business strategy for the year ahead. It’s also a chance for people who don’t often work closely together to meet, increasing the opportunity for serendipitous discussions that could lead to improved business operations in the future. 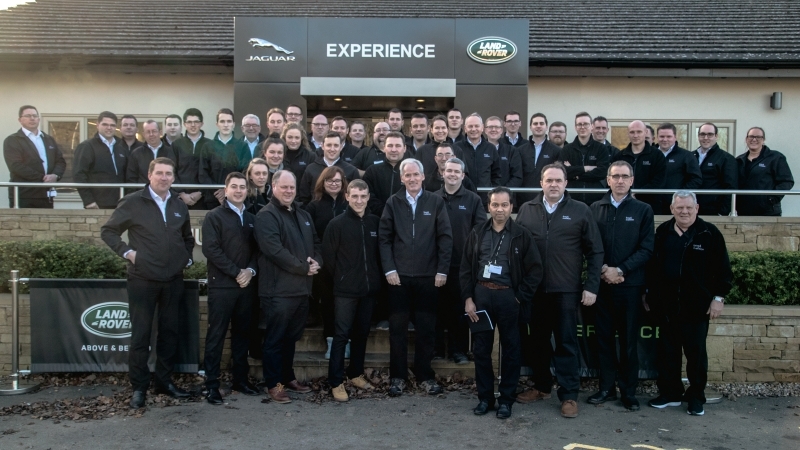 Following formal presentations, the team had the opportunity to explore the muddy tracks and challenging inclines of Jaguar Land Rover’s Solihull off-road driving experience. We then moved onto the Range Rover Sport & Discovery Manufacturing tour, which included the ‘Range Rover Story’ exhibition. Last year, we streamlined our own manufacturing processes to make production more efficient, and reduced waste by introducing sustainable and recycled packaging. We also refreshed our U1 and U2, B3 and B4, ranges. We’re looking forward to introducing our partners to more new innovations and products in 2019.